There are no reviews for Kraina martwego słońca yet. You can write one. Originally released in 1997 as a promotape without cover. 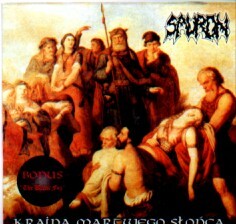 "Kraina martwego Słońca" album was recorded in 1997 and supposed to be released by Pagan Records, but nothing happened due to extremely Pagan views of band' members... A "Pagan" paradox.